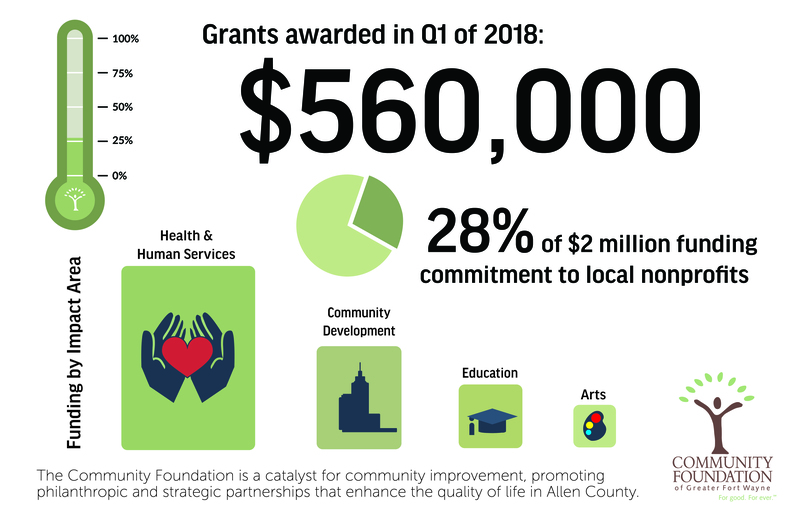 As part of a $2 million commitment to Allen County nonprofits announced earlier this year, the Community Foundation of Greater Fort Wayne has awarded $560,000 community impact grants to 26 nonprofit agencies serving Allen County in the 1st quarter of 2018. 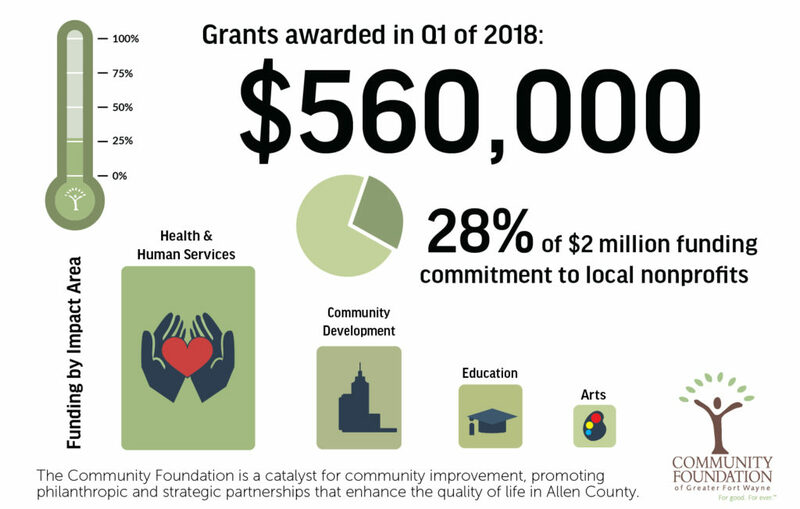 The funding was distributed to nonprofit organizations as operational grants and represents 28% of the $2 million commitment the Community Foundation announced earlier in the year. 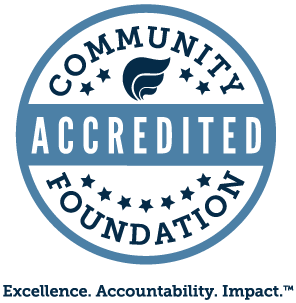 The grants were given to organizations that address community needs in the four impact areas supported by the foundation: basic needs/human services, arts and culture, community development, and education. 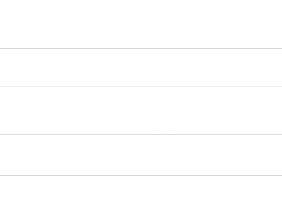 The infographic below accompanies the quarterly report and can be downloaded in both high and low resolution here.